Get your Halloween party started! We've got all the resources you need for Halloween - all in one place! You'll find sites with Halloween costumes, Halloween decorations and props, food and party ideas, ghost story sites, DIY forums, Halloween music, scary movies, and more. Add your Halloween site to our directory or just browse our sites. Enjoy, and Happy Halloween 2018! Color contact lenses for all your Halloween needs. From white out lenses, to red out lenses, we have them all. We have the largest amount of lenses available on the web, with over 800 different types! Visit us at SpookyEyes.com. Grab some Zombie Halloween Contact lenses this Halloween, and see what you friends say when they see you with these eye popping lenses! A directory of horror and scary websites - find ghost stories, horror movies, general horror info and more. A free children's website that features ironic monster characters. 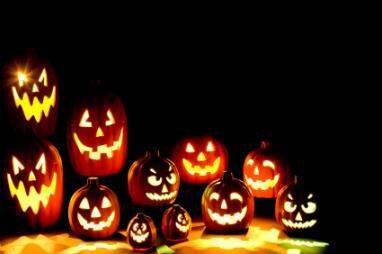 The website offers Halloween books, crafts, games, music, recipes, stories, and more! Trick or Treat! Put down your candy and discover some spooky Halloween facts, including its ancient origins, tasty statistics, surprising customs, and much more. Play free online Halloween games, including zombie games, match 3 games, driving games, shooting games, and more at HalloweenGamesZone.com. Halloween contact lenses; white contact lenses; crazy contact lenses.